A year ago today I was anxiously waiting for Nicolás Enrique to make an appearance into the world! I imagined what a year later would look like and now I can tell you my husband and I have never had so much fun in our lives. 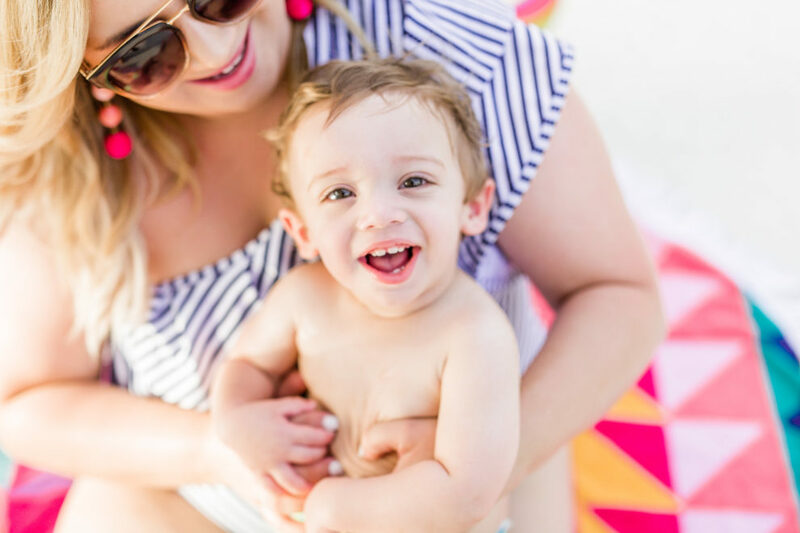 Everything from trying his first piece of banana to splashing around in the pool is filled with wonder and we’re enjoying witnessing all his firsts. Speaking of pools, Nicolas Enrique is a true summer baby, he loves water and we’ve already been to the pool many more times than we ever have when it was only the two of us. We’re lucky to have our neighborhood pool close by so we try to go every day. 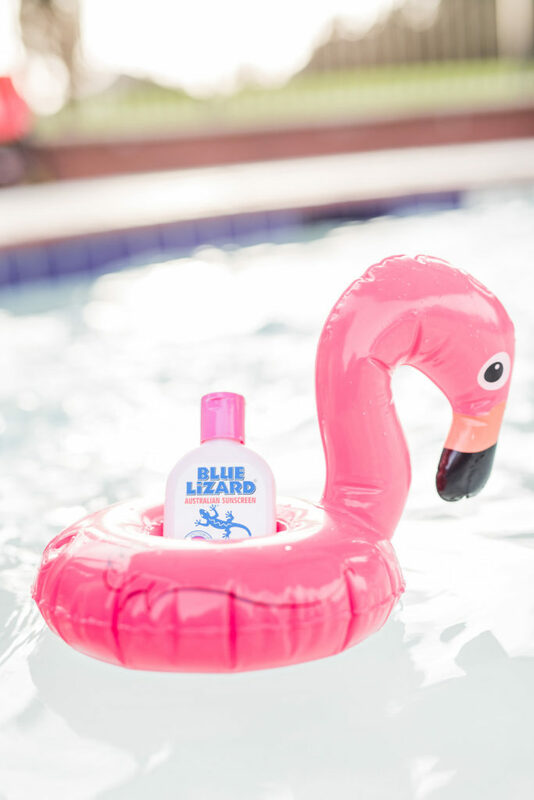 Our frequent pool visits have made me realize the baby pool essentials I should pack for a fun and safe time. If you pack smartly for your baby then I guarantee you and your hubby or friends will have a better time too! 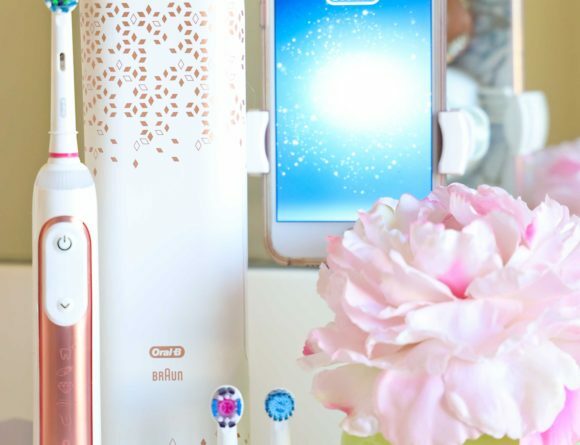 Check out my checklist and tips below and tell me if I missed something! Wait For Cooler Temperatures I don’t know how the weather is where you live but in Houston and it’s surroundings it’s almost 100 degrees Fahrenheit from 2pm-6pm. My recommendation is to head to the pool really early in the morning (before 8am) or in the evening around 6:30pm when the temperatures are milder. Advantage of Evening Pool Trip I like to head out to the pool in the evening because Nicolás las falls asleep faster at night. We get home, I give him a warm bath to wash off the chlorine and put on his pajamas. He drinks his last bottle and he falls asleep so quickly because he is exhausted after a day swimming. Extra Swim Diapers Make sure to have your baby in swim diapers which I had no idea existed until I had a baby. Please don’t assume, like I did once, that one swim diaper will be enough for one day. You might need to change it if he goes number two in there so it’s better be safe than sorry. 😜 I always put swim trunks on top of his swim diapers too so people around us don’t think he’s swimming in regular diapers. 🙈 Baby swim trunks are so cute too! 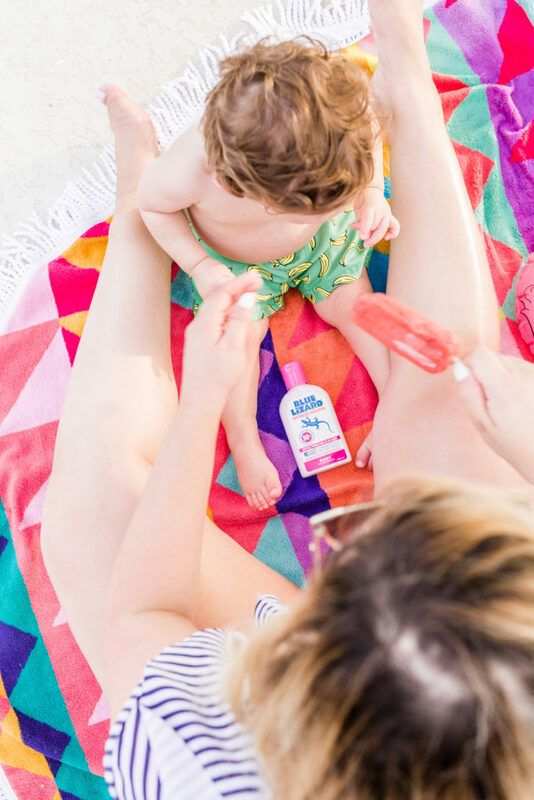 Nothing is more essential and important on this list than protecting my baby’s sensitive skin with a high quality sunscreen like Blue Lizard Australian Sunscreen. This sunscreen has a natural, mineral base which results in a cleaner, safer and more effective formula. I had no idea chemical sunscreens are absorbed by your skin and only protect you after the rays have hit your skin. Zinc oxide in the Blue Lizard Australian sunscreen acts like tiny mirrors on your body and reflect the rays before they even hit your skin. 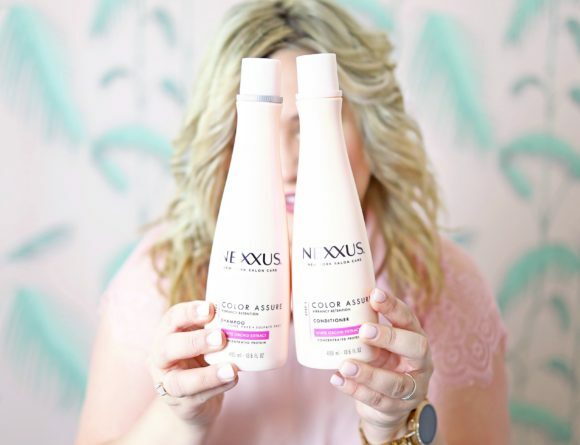 I was given the option to only try one of the formulas but I bought both the adult and baby formula and we love that they were unscented, paraben and chemical free and disappeared easily when rubbed in. One of the coolest features of both formulas is how the bottles change colors when they come in contact with harmful UV rays. Want to try it for yourself? You can buy the sunscreen on Amazon & see how the bottle changes color here. I don’t want the baby’s nap time to determine my pool time which is why this super duper play pen and canopy always come with us to the pool. You can pop this play pen open with one hand and cover with a canopy on sunny days (this is great for the beach too). 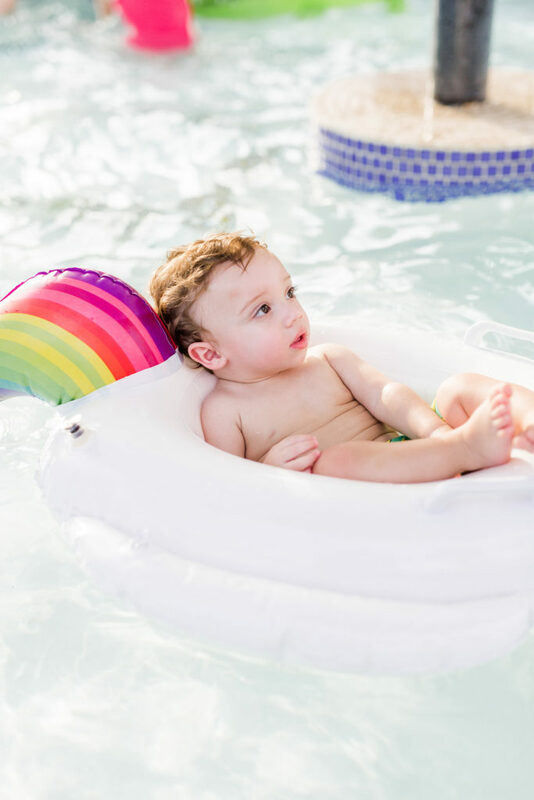 Whenever baby is ready to take to take a break or nap, the play pen is available so you can keep enjoying your pool time. 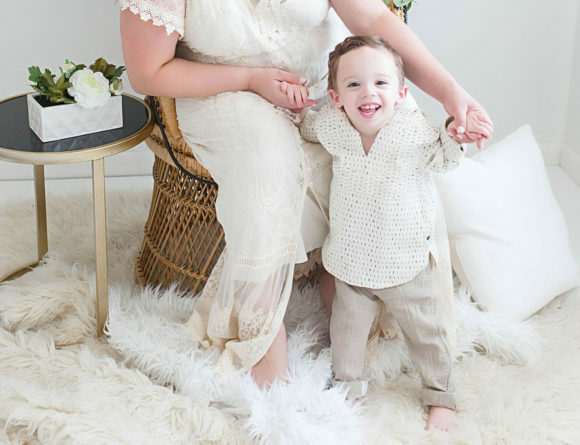 You’ve heard me talk about this float with shade in a past post and it’s because we love it so much because Nicolas enjoys the freedom it gives him, it has shade which helps him keep his yes open, packs flat, and it dries quickly. I recently got him a baby unicorn float and even though this one is not an essential, how cute does he look in it?! If your baby gets fussy and you or your partner get out of the pool to hold him, don’t leave him in his wet pool clothes. Change him out of those wet clothes, quickly clean his body with a wet wipe and put him in fresh new clothes. Ideally you would all be at the pool for the same amount of time but you never know when baby might be ready to get out especially on a long pool day. 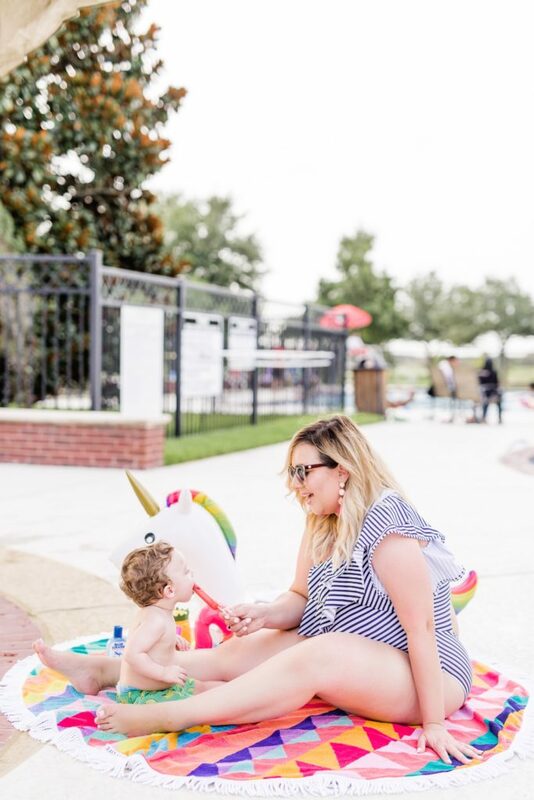 I hope my tips and baby essentials list are useful for you this summer! This is an ongoing learning process but I’m always happy to share what we learn along the way and works for us. Anything I missed on my list that you think I should add? Let me know!